Buckingham Palace is the Queens official London residence and is used to receive and entertain guests on state, ceremonial and official occasions for the Royal Family. The Palace is located between The Green Park, Hyde Park and St. James’s Park. 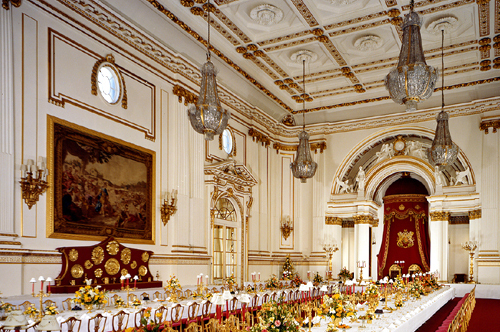 Buckingham Palace’s 19 state rooms, ballroom and gardens are open to visitors during August and September while the Queen makes her annual visit to Balmoral. The State rooms house some of the Royal family’s greatest treasures including paintings and the finest French and English furniture. Visit the spectacular Palace Ballroom and tour the Palace gardens with views of the west front of the Palace and the lake. Buckingham Palace is the Queens official London residence and is used to receive and entertain guests on state, ceremonial and official occasions for the Royal Family. The Palace is located between The Green Park, Hyde Park and St. James’s Park. Buckingham Palace’s 19 state rooms, ballroom and gardens are open to visitors during August and September while the Queen makes her annual visit to Balmoral. The State rooms house some of the Royal family’s greatest treasures including paintings and the finest French and English furniture. Visit the spectacular Palace Ballroom and tour the Palace gardens with views of the west front of the Palace and the lake. There is an entry fee and tickets are limited so you should book ahead if possible. 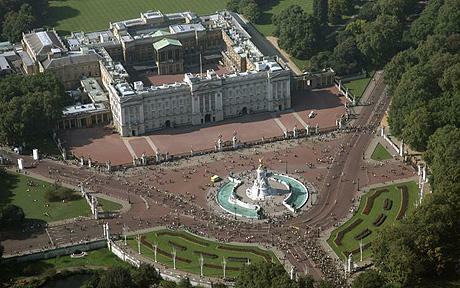 Where is Buckingham Palace located? When are 19 state rooms and gardens open to visiters? Tickets are limited, aren’t they?